These past few (many) weeks have been stressful and busy and exhausting. So it seemed fitting that my oven caught fire tonight. Well, technically a tater tot from yesterday that fell off the cookie sheet was what caught fire. But yes, in the oven while I was making dinner. And yes I took a picture, because what else would I do? I mean, everyone knows you don’t open a door to a fire. So yeah. Happy Monday! 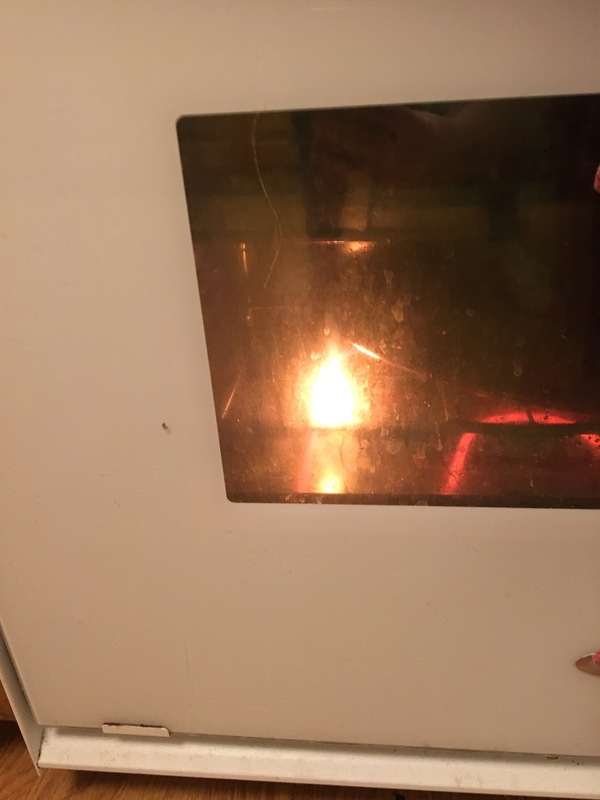 Oven fire!